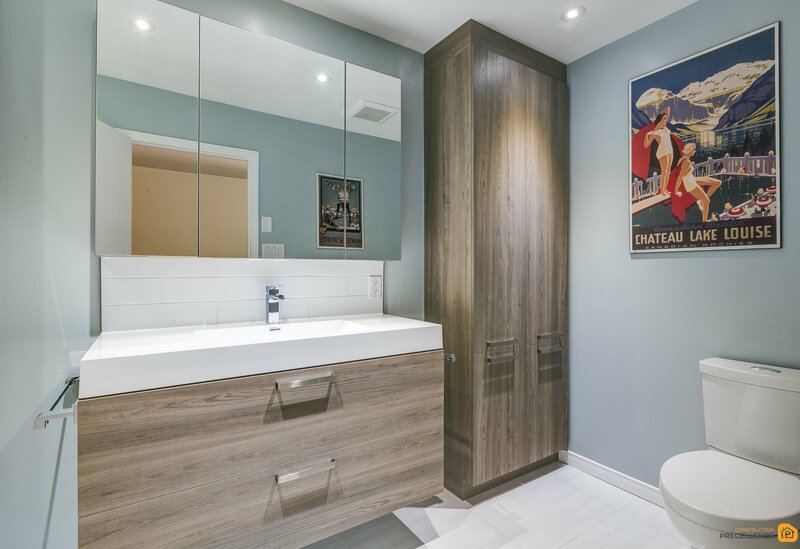 Be inspired by this superb basement bathroom renovation project in a Rosemont residence. 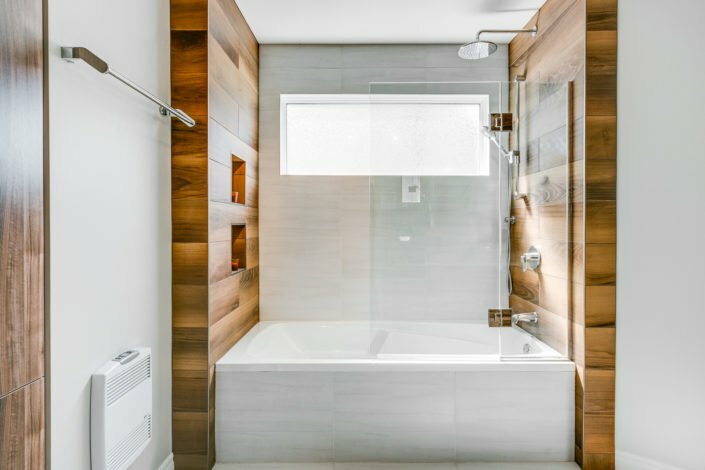 You too can benefit from our experience as a general contractor in bathroom renovation and our turnkey renovation services. Call us for a free consultation! 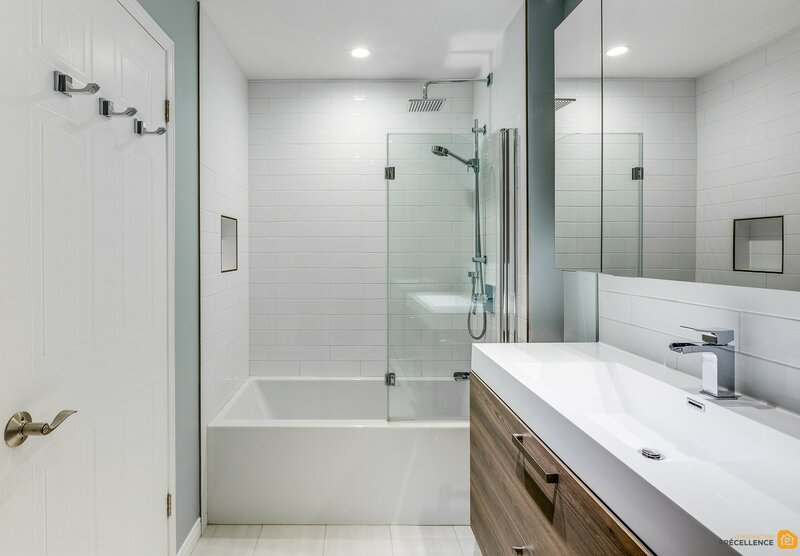 Having a second bathroom in your home is an incredibly practical option, but your basement bathroom must also be adapted to your needs. These Rosemont customers wanted to transform and refurbish their basement bathroom to make it more functional and stylish. The remodeling of a bathroom requires a demolition of the original bathroom. We removed and disposed of the cabinets, counter, vanity, shower and lighting fixtures. We carried out plumbing work to accommodate the new installations, and some electrical work to install an underfloor heating system. Customers have chosen an underfloor heating system made of ceramic tiles for greater comfort. Then we added a suspended bathroom vanity, custom-made with a porcelain countertop, a large sink and a stainless steel faucet. The bathroom counter is topped by a ceramic backsplash, two medicine cabinets and a three-part mirror. For storage, customers chose custom-made bathroom cabinets in wood-finished melamine. To save space, customers opted for a combined bath and shower with telephone shower and rain shower head. 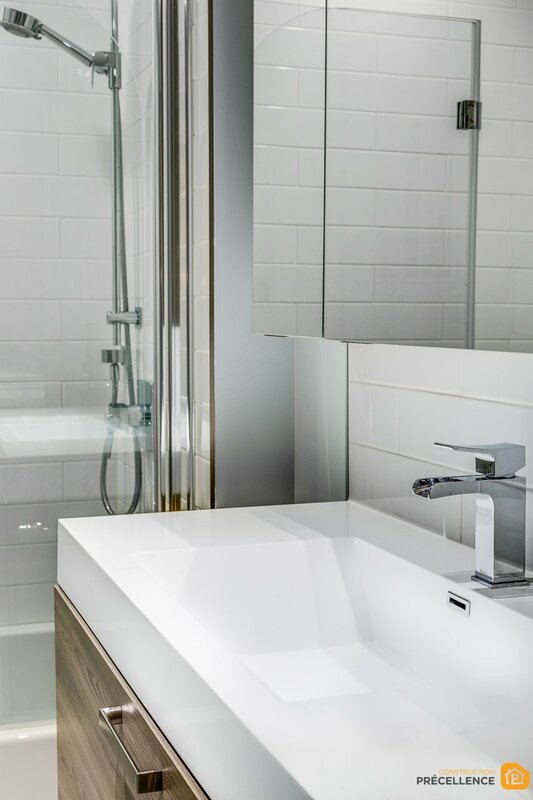 We recommended white ceramic walls for the shower, as well as an alcove to store bath and shower products. Finally, for the lighting, we chose recessed ceiling lights, one of which was in the shower. 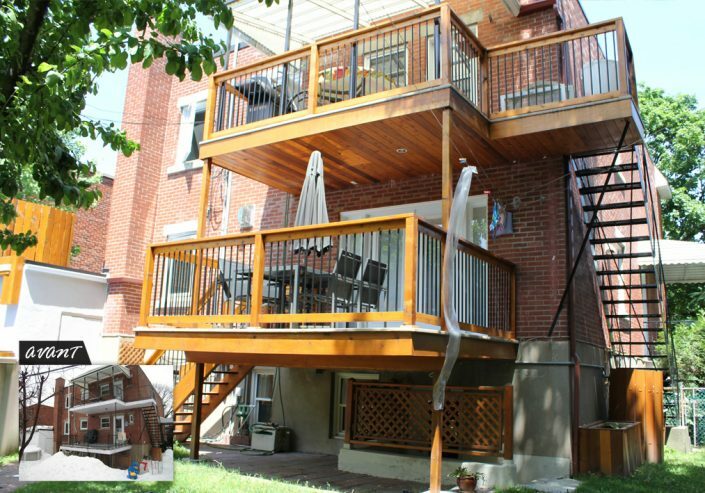 As a general contractor specializing in bathroom renovation, we take care of all the work related to your project: conceptualization, demolition, design, construction and renovation. 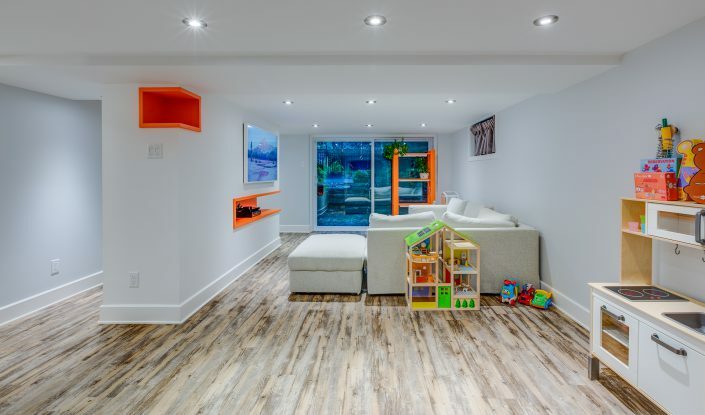 To do this, we have established long-term partnerships with flooring specialists, cabinet and bathroom countertop manufacturers, electricians, painters, plasterers and designers to make your project a success! 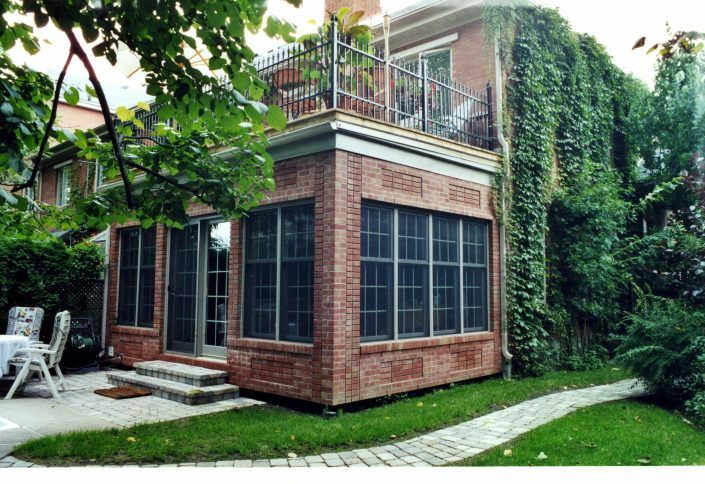 If you have any questions about the Rosemont basement bathroom renovation project, our turnkey kitchen renovation service, or our prices, please do not hesitate to contact us by email or phone. Your first consultation is free of charge! Our team will be happy to welcome you and give you all the information you need!